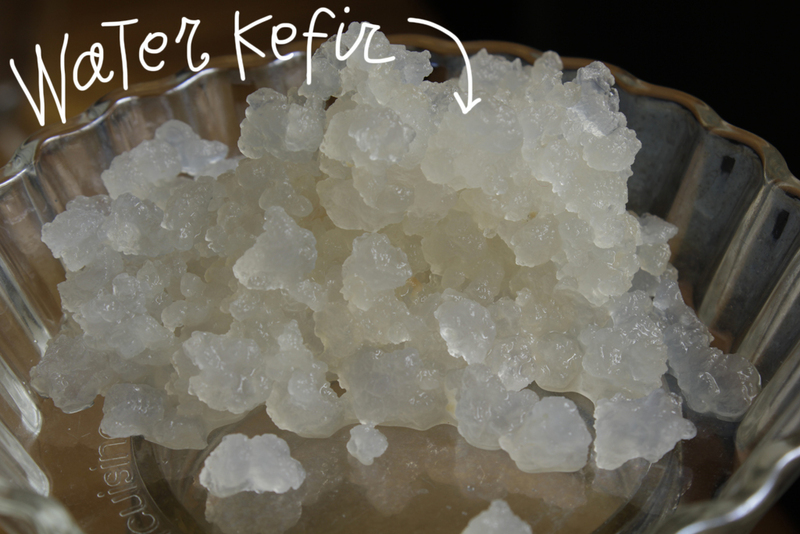 Water kefir is a symbiotic colony of some 40 species of bacteria and fungi. The resulting drink is an excellent probiotic with distinctive pleasant taste. 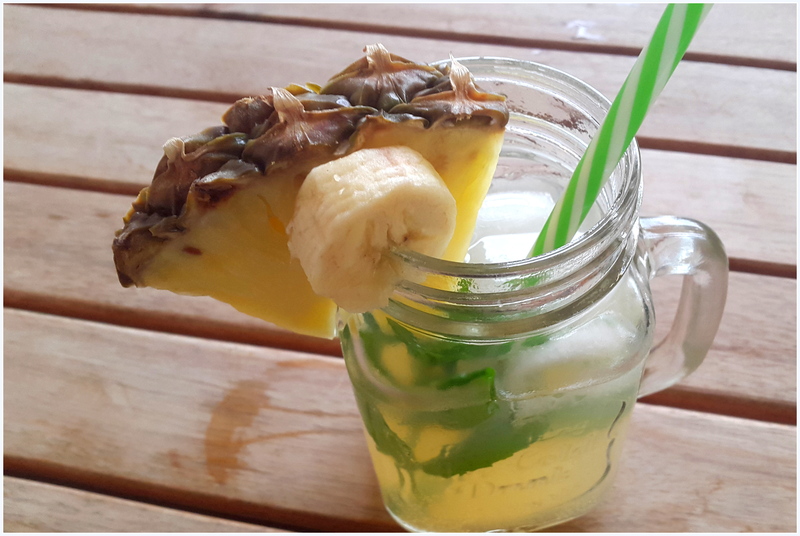 Slightly sparkling, can be used as a basis for homemade drinks with fruits and juices. 1 organic dried fruit (prune, date, apricot, some raisins, as long as they are organic). Important note: Contact with metal, chlorine in water, and pesticides in first fermentation may kill the culture. 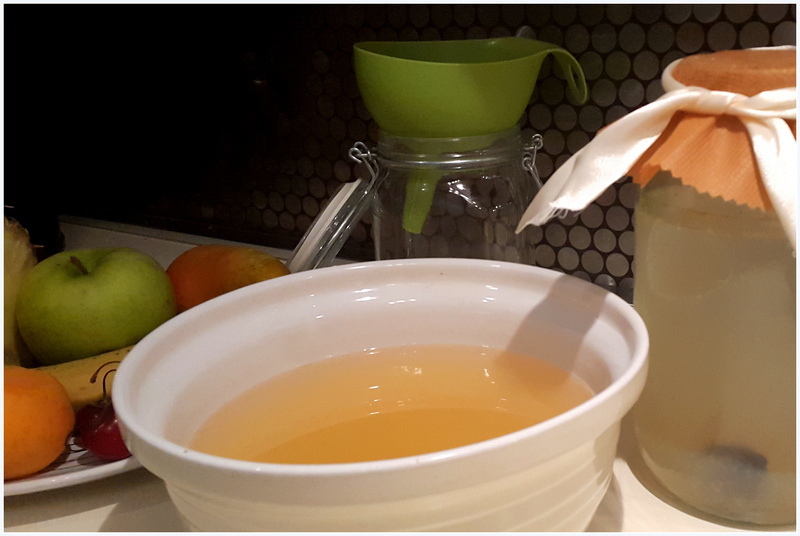 Add into the jar the water kefir grains with a wooden or plastic spoon (not metal). Add sugar and filtered water into the container and stir. Add the dried fruit. Both grains and fruit will sink. Cover the jar with a cloth and a rubber band and leave on the counter for 24-48 hours. Note: Don’t cover with lid cause grains will create CO2, which can cause explosions. 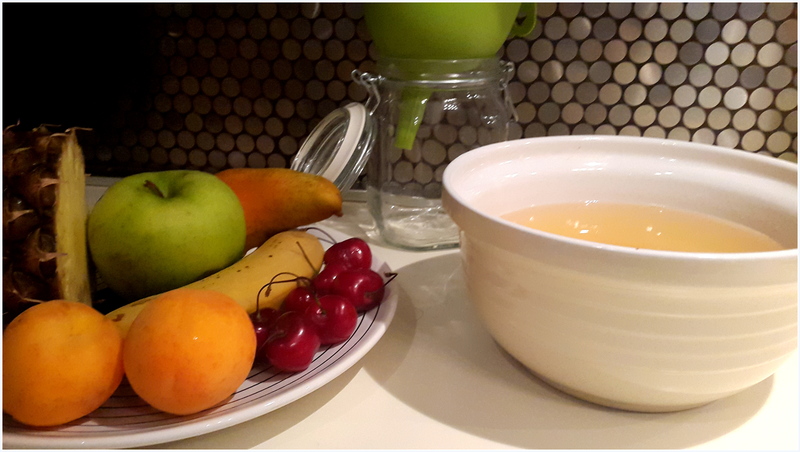 Sucrose will be consumed in about 24 hours.. you will know that when the dried fruit will pop up. The longer you leave it, the more sugar ferments out, so if you are limiting carbs, I recommend 48 hours. Don’t leave longer than this, or the grains will starve. You know your grains are happy when you see little bubbles and grains go up and down when you move slightly the jar!! Strain the liquid of the first fermentation into another container, through a plastic strainer (not metal). Set this container aside to prepare the secondary fermentation. 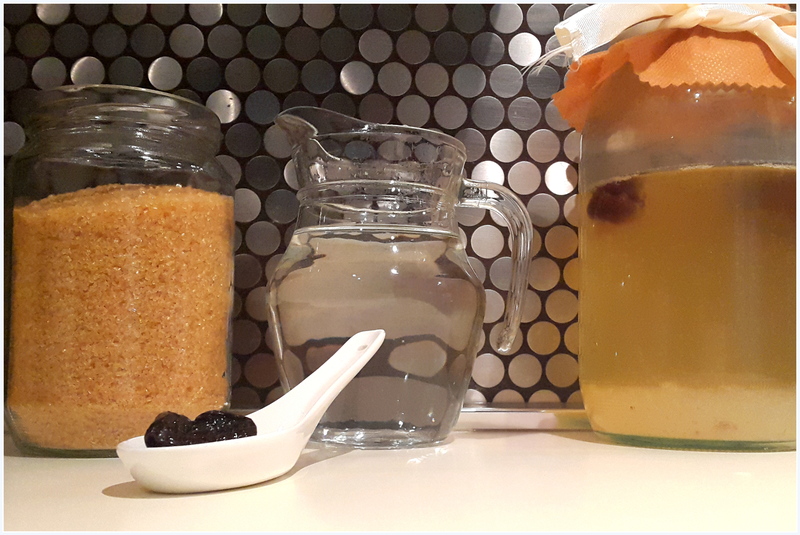 Restart the same process into the first jar (you won’t have to wash it every time, and when you want to use only filtered water). Note: Count when spooning the grains into the jar for the first fermentation to reckon the proportions of the rest ingredients, as the grains tend to multiply when they are happy and fed regularly!! Choose a container that seals tightly. This will make your drink extra fizzy. Add in the liquid you have kept from the first fermentation. 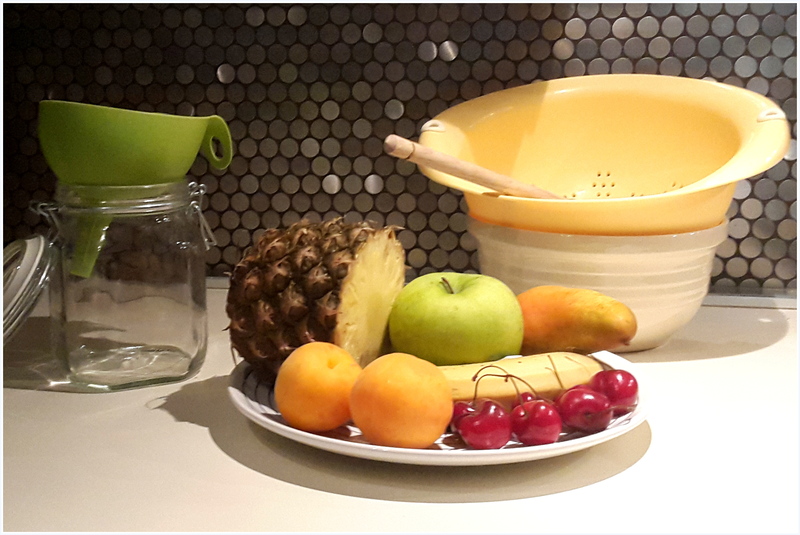 Add freshly cut fruits into the container. 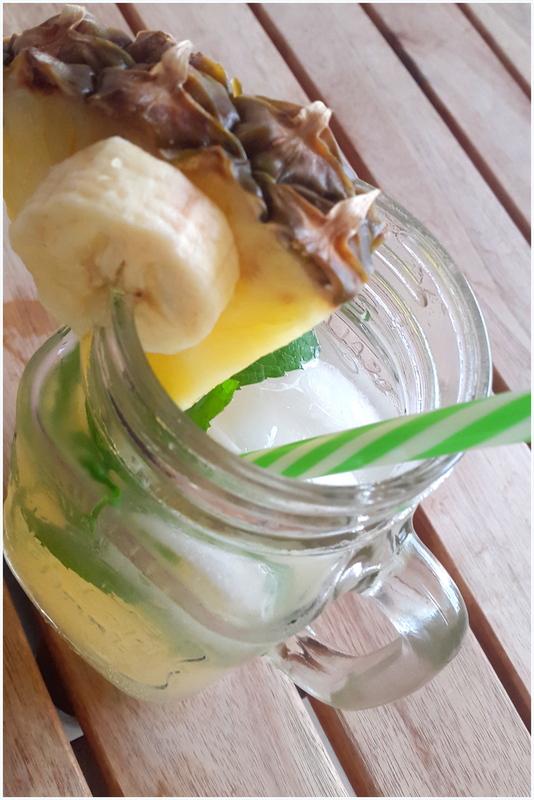 I used pineapples and bananas this time… love this combination. Seal and leave on the counter for 1-2 days. Strain the liquid of this secondary fermentation and place it into a glass bottle that seals too, such as a swing top bottle. Refrigerate and…. 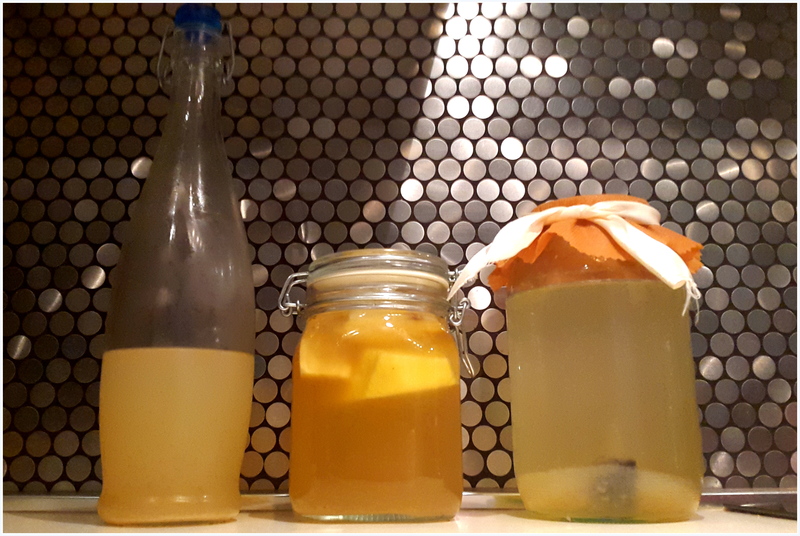 your probiotic-rich water kefir soda is ready…. 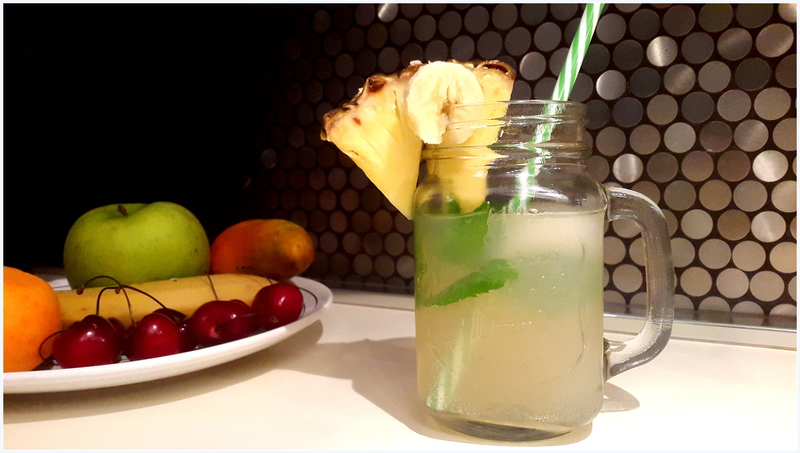 healthy and refreshing!! Store for as long as you like its taste. I have kept mine up to 10 days!! Note that you have to drink a small amount when you firstly start, and increase little by little. It is also said that the best time to drink it is in the morning for the best colonization of the intestine. 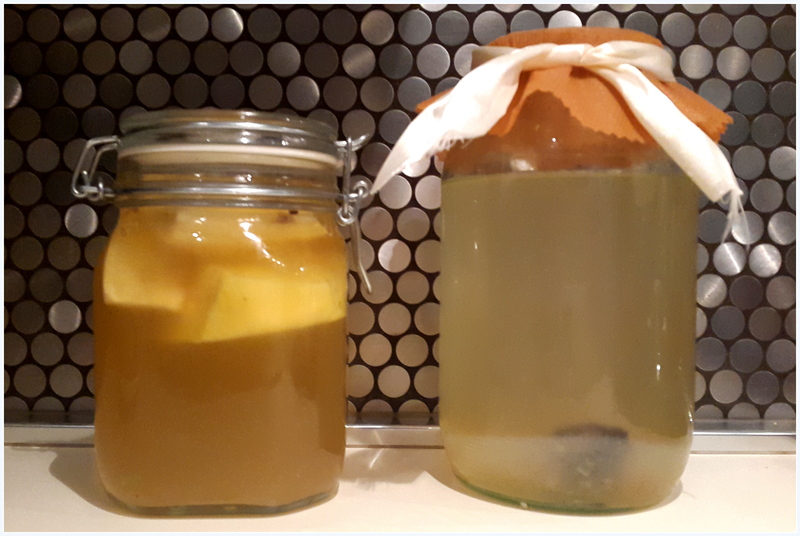 Find more about water kefir and fermentation in culturesforhealth.com and phickle.com.